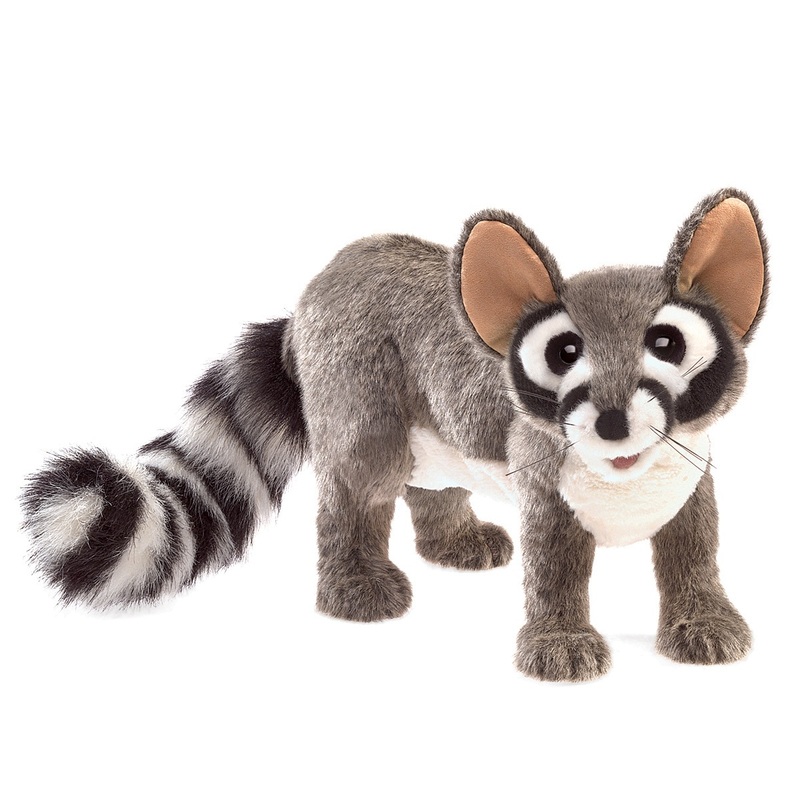 The Ringtail Cat hand puppet was released in February 2018. 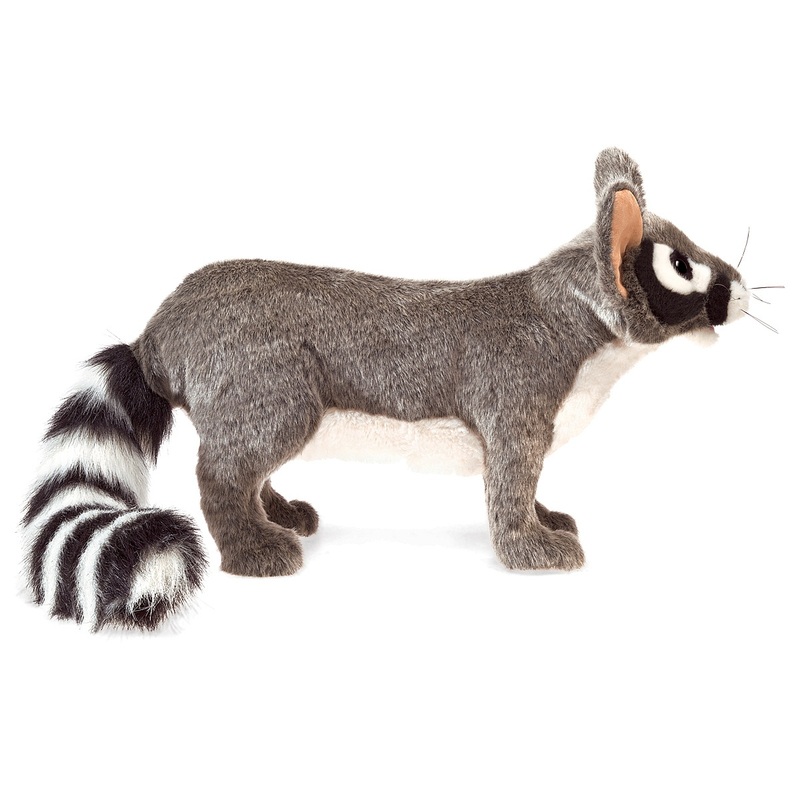 The ringtail cat has features that are similar to a raccoon. 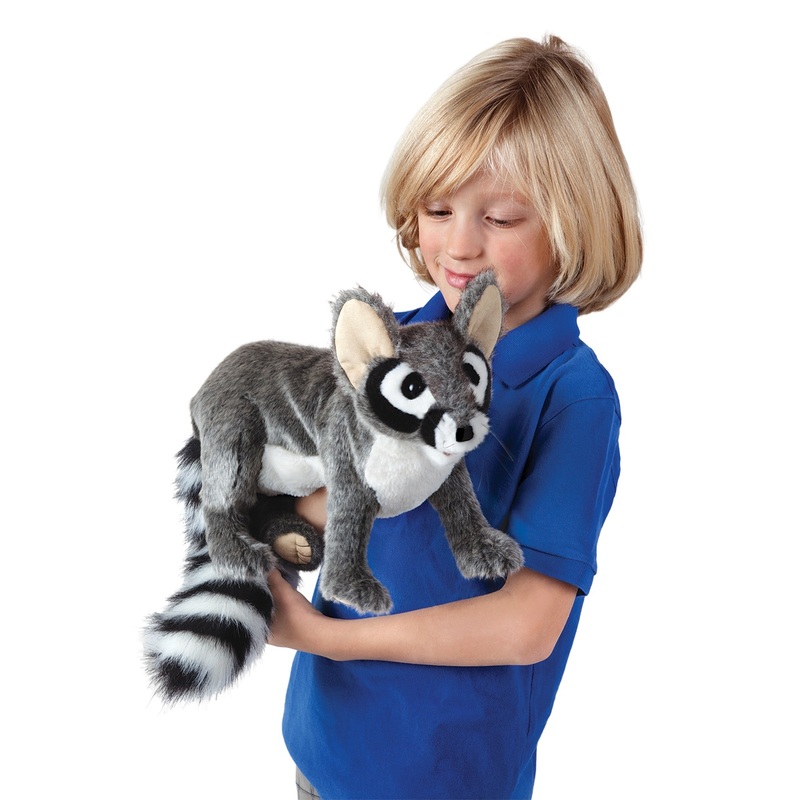 You can put your hand into the body from underneath to reach into the head and move the lower jaw up and down with one of your fingers. 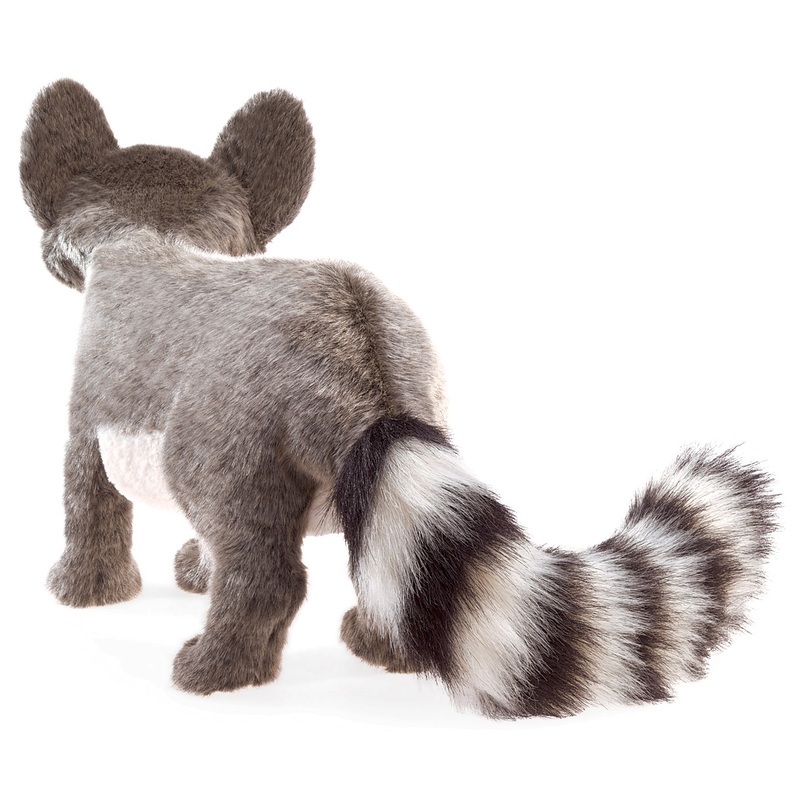 26 inches long from nose to end of tail, 10 inch long tail, 8 inches tall and 6 inches wide ( 63.7 x 20.3 x 15.2 cm). 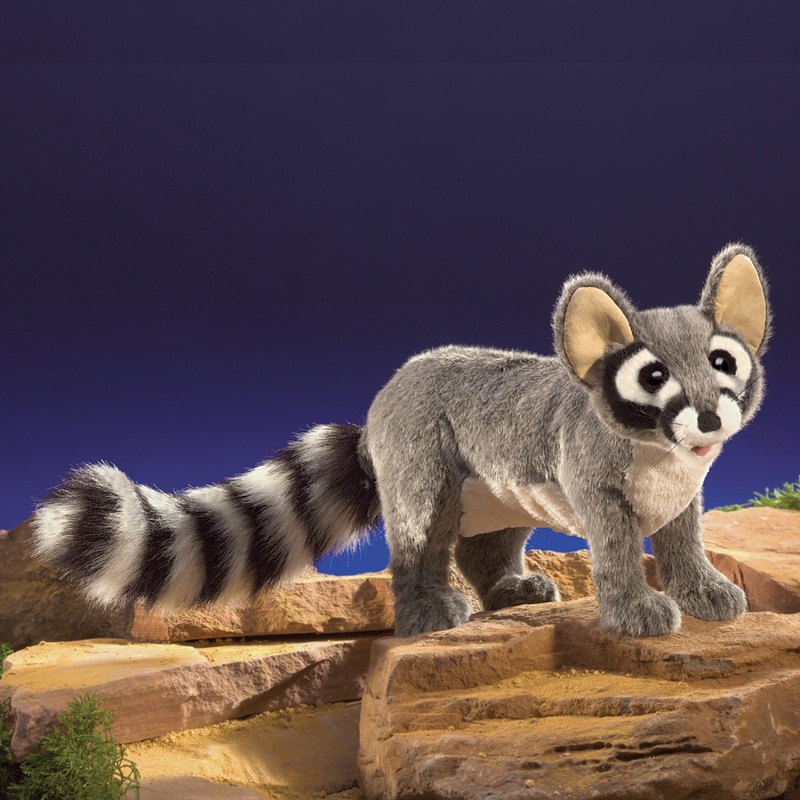 Little Raccoon Puppet by Folkmanis Disc.